Rest for them, peace of mind for you. Everybody updated on your flu shots? It seems no matter what we do to prepare for the cold/flu season, one of my children gets sick. My preschooler and second grader have built up some good immunity from school, but we recently had a stomach virus that ended up hitting all of us at different times over a two week period. UGH. Bob, the medic Vet, is especially concerned about fevers and there is a great product on the market for tech-savvy parents this season! 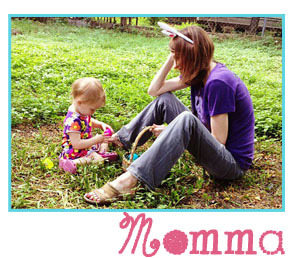 (www.TempTraq.com) is great for giving parents (especially new parents!) peace of mind, especially during winter months when cold/flu season starts. 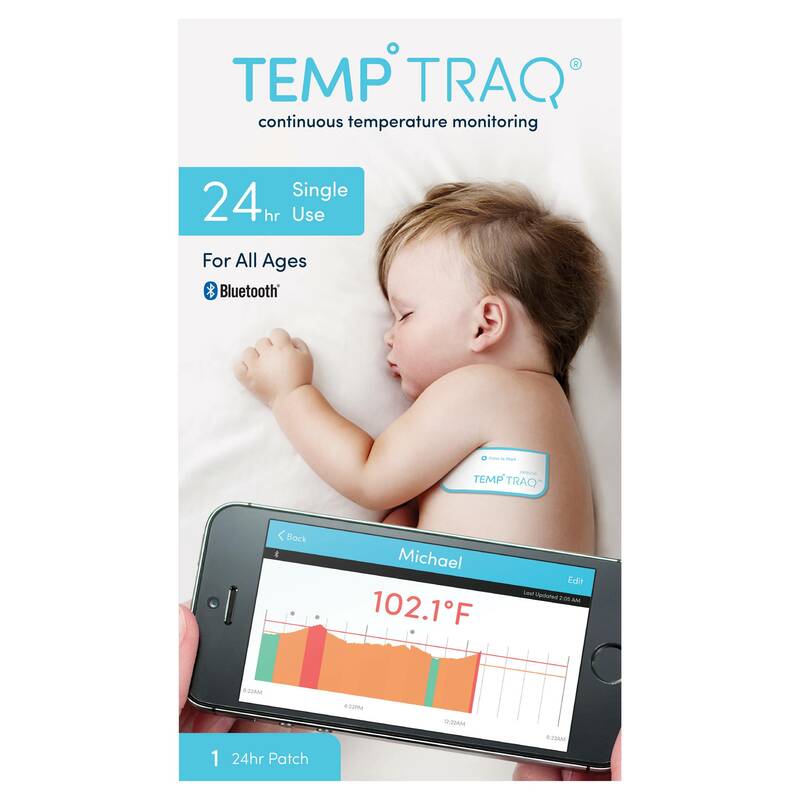 TempTraq is the 24-hour intelligent thermometer that continuously senses, records, and sends alerts of a child’s temperature to your mobile device. When kids come down with a fever, this wearable, Bluetooth patch monitors body temperature continuously for 48 hours and sends info to smartphones through a free app, letting kids get the rest they need to get better. Parents can see real-time temperature data from anywhere (without having to wake sick children)…whether dropping a child off at grandma’s house for an overnight visit or checking in on a child staying home from school with the sitter. Plus, you can send info to your doctors and monitor multiple kids at once for those times the entire household gets sick. 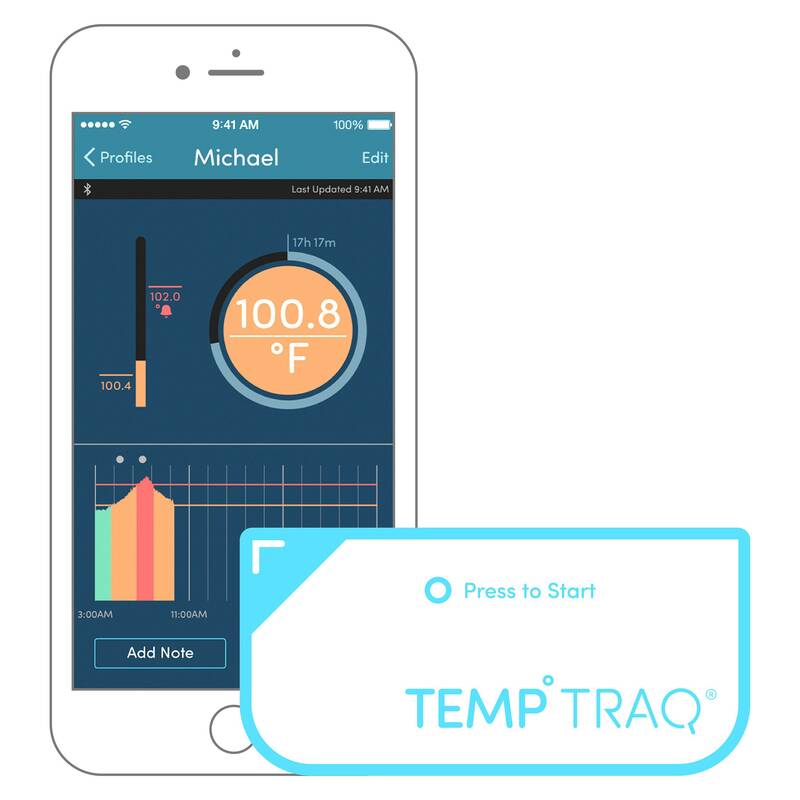 It’s simple to use, the app is available to download for free, and each pack comes with two TempTraq Intelligent Thermometer pads that fit easily and comfortably under the arm. It’s a must-have addition to the medicine cabinet and is currently available at Target.com.